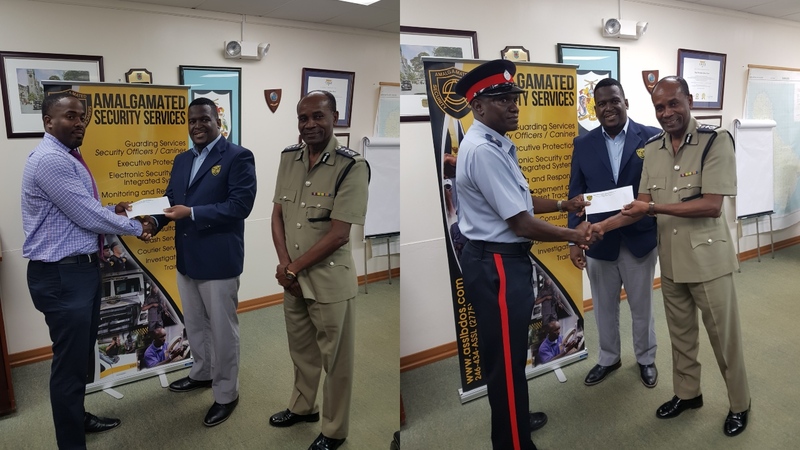 Left Photo: Sergeant Mitchell Roach receives his award from General Manager of Amalgamated Security Services, Andre Coore, while Commissioner of Police, Tyrone Griffith, looks on. 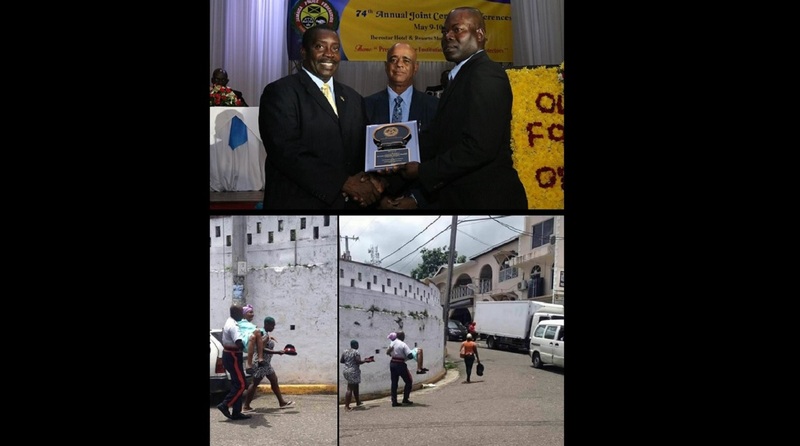 Right Photo: Acting Inspector Roland Cobbler receives his award from Commissioner of Police Tyrone Griffith, while General Manager of Amalgamated Security Services, Andre Coore, looks on. 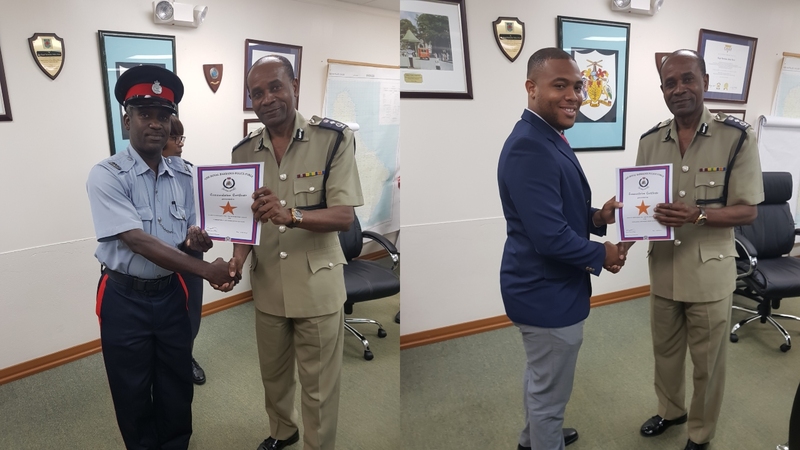 Two members of the Royal Barbados Police Force have gained recognition across the region and have been awarded for their outstanding work. 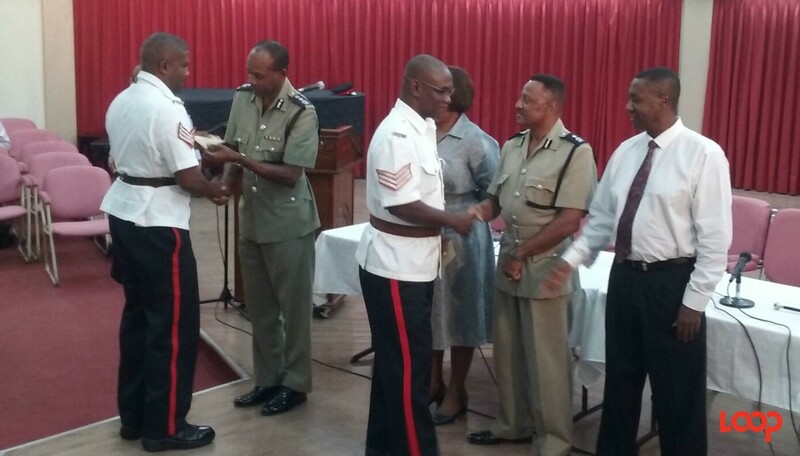 Commissioner of Police, Mr Tyrone Griffith, was presented with monetary awards on behalf of those officers today, by the General Manager of Amalgamated Security Services, Mr Andre Coore. They are Acting Inspector Roland Cobbler and Sergeant Mitchell Roach. 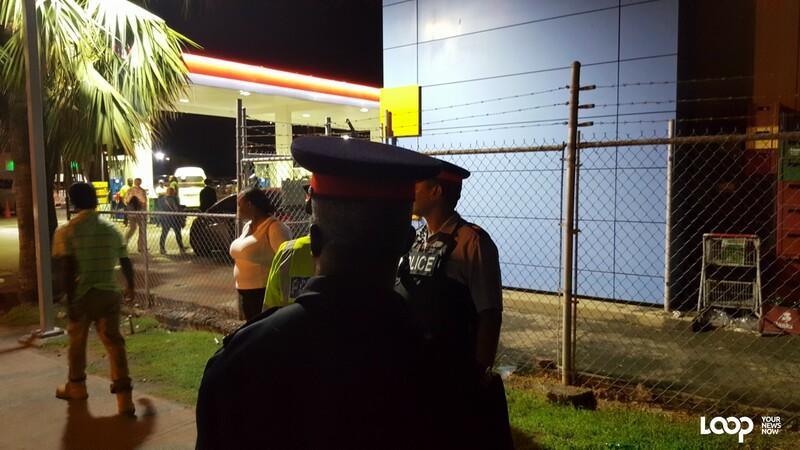 Inspector Cobbler was adjudged the Top Caribbean Community Policing Officer, while Sergeant Mitchell Roach was deemed the Top Caribbean Crime Fighter.